Our company started out making shoelaces in 1967. Since then, we've expanded considerably, but we we can still supply shoe- and boot-laces of any length and almost any colour. 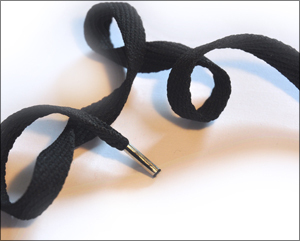 Aglets are those little hard bits on the end of the shoelace that you poke through the eyelet. 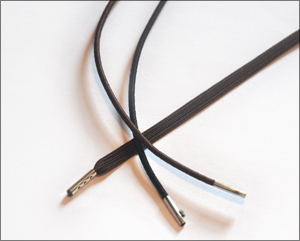 We can supply aglets in standard acetate or in metal (which is ideal for harder-wearing applications such as hiking boots). 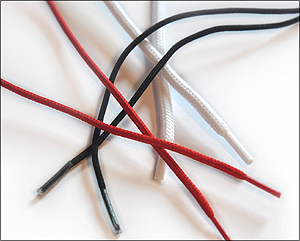 Besides standard colours such as black, brown and white, we can supply shoelaces and bootlaces in a wide range of other colours: please just ask. People with swollen feet and ankles can fit into standard shoe sizes, which they wouldn't be able to do without widening the lace-up area. Ends can be supplied in tinned steel, solid brass or brass-effect. 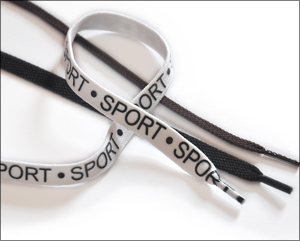 Please contact us to discuss the kind of shoelaces or bootlaces you're looking for. Call us on 01797 366126 or 364559.